As of April 6th, 2016 the UK government announced a change in policy for the Tier 2 visa. Now the majority of non EU Migrants on this visa will now have to earn a minimum salary of £35,000 if they want to qualify for settlement within Britain. It also means that anyone from outside of the EU who has been in the country as of April 2011 on the Tier 2 visa could be deported. The news has brought about a debate regarding businesses in the UK who depend on foreign talent and skilled workers. The thought is that it will be much harder for them to recruit these higher levelled professionals from outside of the EU. So What Is a Tier 2 Visa? Tier 2 visas are awarded to non-EU workers that are sponsored by a business. This visa was introduced in order to hire workers from overseas where it is not possible to fill the position from locally based workers. It then allows these skilled individuals the opportunity to gain settlement and work permits in the UK after finishing 5 years of residency there. 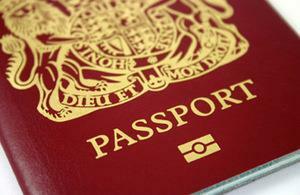 The people who do in fact remain for five years (six under the new rules) must meet the minimum requirements for indefinite leave to remain (ILR) or they must alternately vacate the UK for at least 12 months before reapplying for entry. The updated ILR rules now include the £35,000 minimum salary requirement, the minimum residency period, and the sponsoring company. It is worth pointing out that the scheme changes will not effect every job. The positions that have been placed on the UK’s shortage occupation list - programming, engineering, social work, electronics and medicine – will all be exempt from the policy change. The biggest issue with the new change in the salary is the fact that it could cause problems for the businesses of the country. For the businesses who are unable to accommodate to this new threshold it could have alarming consequences. In the UK many businesses need these non-EU workers in order to function. If the companies are forced to cancel contracts of the sponsored workers, it may leave them exposed as they’ll be forced to hire lesser experienced staff to accommodate for the loss. If these employees are in fact less knowledgeable on the area, it will take time that companies don’t have to train them up and it could also mean that they simply won’t be as good. Ultimately meaning the companies quality and services will falter. This impact of this will also means that the UK will become a less attractive place for already established businesses. If those who are already pay tax and are being a profitable service to for the nation, decide that they can’t get the staff they need. They will as a result look to relocate their set up if it proves more beneficial to them, meaning the UK economy could take a hit.